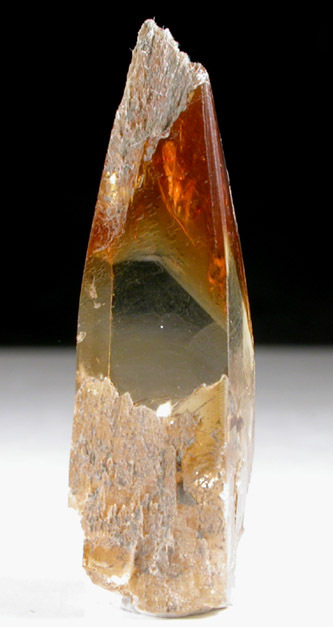 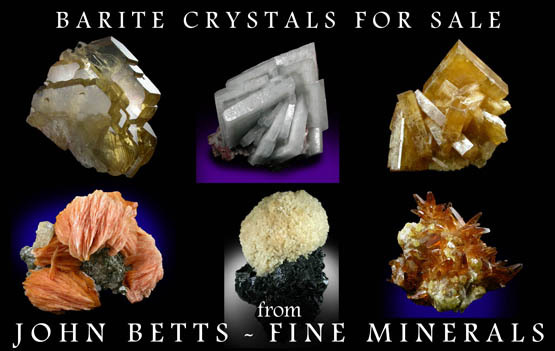 Description: Single crystal of golden barite that is internally flawless. 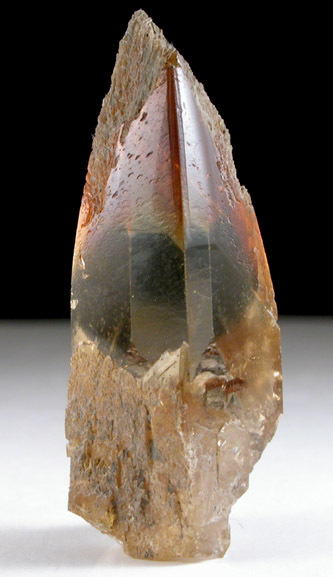 The termination of the barite crystal has etched surfaces. 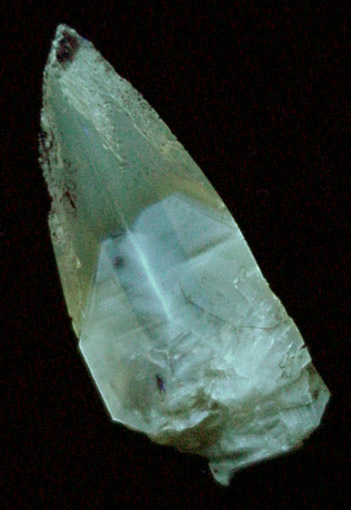 The barite fluoresces under UV illumination.